Outfielder Jacob May was outrighted by the White Sox after clearing waivers, Baseball America’s Matt Eddy reports. Likewise, Angels lefty Nate Smith is headed for Triple-A via outright. Both were designated for assignment recently. Infielder Ty Kelly is returning to the Mets, per SB Nation’s Chris Cotillo (via Twitter). The 29-year-old first reached the bigs in New York and also spent time in the majors last year with the Phillies. He has hit well at times in the upper minors but has yet to translate that to the majors in limited opportunities. The Tigers have purchased the contract of lefty Caleb Thielbar from the St. Paul Saints, per an announcement from the indy ball club. Soon to turn 31, Thielbar hasn’t seen the majors since 2015. In 98 2/3 total innings at the game’s highest level, though, he has pitched to a 2.74 ERA with 7.2 K/9 against 2.7 BB/9. He was released by the Marlins just before the start of the 2017 season after competing for a job in camp. Righty Carlos Frias is re-joining the Indians on a minors pact, the club announced. The 28-year-old, who has not seen substantial MLB time since 2015, stumbled to an 8.05 ERA with an ugly 21:22 K/BB ratio at Triple-A last year with the Cleveland organization. The Angels have re-signed lefty John Lamb, Cotillo tweets. Once a well-regarded prospect, the 27-year-old saw his career derailed by back issues. He did throw 139 innings at Triple-A last year with the Halos organization, though he managed only a 5.44 ERA with 5.2 K/9 and 4.1 BB/9. Reliever Bryan Harper has re-joined the Nationals on a minor-league deal with a spring invite, Chelsea Janes of the Washington Post reports on Twitter. Bryce’s older brother has never been seen as a major asset, but he’s an accomplished minor-league reliever. He missed all of 2017 after undergoing Tommy John surgery, but has allowed less than three earned runs per nine in over a hundred frames in the upper minors. Outfielder Matt Lipka is joining the Giants organization on a minor-league deal, Cotillo also tweets. A first-round pick in the 2010 draft, Lipka has not yet shown that he can hand the bat in the upper minors. He posted a .754 OPS in 370 plate appearances last year at the High-A level, but limped to a .160/.216/.223 slash over his 102 trips to the plate at Double-A. The Marlins have re-signed southpaw Mike Kickham to a minors deal with an invitation to spring training, according to the Associated Press. Last season was the first in the Miami organization for Kickham, who divided the year between the minors’ two highest levels and posted a 3.65 ERA over 145 2/3 innings (27 appearances, 25 starts). Kickham also logged 7.4 K/9 against just 1.5 BB/9. The 29-year-old brings minimal big league experience, with his most recent stint being a two-inning showing with San Francisco in 2014. The Orioles have signed infielder/outfielder Anderson Feliz to a minors pact without a spring training invite, Roch Kubatko of MASNsports.com tweets. The O’s are the third organization for Feliz, who was previously in the minors with the Yankees (2009-14) and Pirates (2015-17). In his first Triple-A action last season, the 25-year-old Feliz batted a meek .209/.257/.328 in 145 plate appearances. Angels lefty Nate Smith will remain in the organization after clearing waivers and being outrighted, the club announced. The 26-year-old had earned a 40-man spot in advance of the 2017 Rule 5 draft, but he ended up missing the bulk of the year due to elbow/forearm issues. Things only got worse this winter, as Smith ended up requiring anterior capsule surgery that will cost him all of the coming season. He was designated for assignment recently. Smith has generally been regarded as one of the Halos’ best pitching prospects in recent years, though he had struggled somewhat at Triple-A in 2016 (4.61 ERA in 150 1/3 innings) before the injury bug hit late that season. The Marlins have inked outfielder Scott Van Slyke to a minor league deal which includes an invitation to spring training, Joe Frisaro of MLB.com tweets. Van Slyke had spent his entire pro baseball career with the Dodgers’ organization, with the small exception of 57 games he played for the Reds’ Triple-A affiliate. The 6’4″ outfielder owns a career slash line of just .230/.308/.390, but his most useful role is as a platoon hitter versus left-handed pitching against. When facing southpaws, he’s posted a .252/.358/.462 line with a 130 wRC+. Van Slyke has seen a performance decline in recent seasons, however; he was roughly average against lefties in 2016 and wasn’t able to muster much offense at all in 29 major league plate appearances last season. He’ll now join a rebuilding Marlins club with whom he has a better chance of earning playing time at the MLB level. Also joining the Marlins is right-hander Javy Guerra, per Tim Healey of the Sun-Sentinel. The 32-year-old gave Miami 21 innings of 3.00 ERA ball in 2017 and has managed to crack the big leagues in each of the pat seven seasons. It has been a while, though, since Guerra held down a regular relief role. Despite his bottom-line success last year, Guerra managed only 5.1 K/9 (on a marginal 5.3% swinging-strike rate) against 3.0 BB/9. That said, he did produce quality groundball (54.4%) and infield fly (21.1%) rates. 10:26pm: Rivera will be guaranteed $2.8MM on his deal with the Angels, Fletcher reports (also via Twitter). 9:39pm: The Angels announced tonight that they’ve agreed to terms on a one-year, Major League contract with veteran catcher Rene Rivera. In order to clear a spot on the 40-man roster, the Halos have designated lefty Nate Smith for assignment. As Jeff Fletcher of the Orange County Register reports, via Twitter, Smith is undergoing shoulder surgery and is expected to miss the entire 2018 season. By adding the 34-year-old Rivera, the Angels further bolster what is shaping up to be one of the top defensive clubs in all of Major League Baseball. Rivera isn’t likely to start in Anaheim, but he carries a superlative defensive reputation and will complement 2017 Gold Glove winner Martin Maldonado to form a terrific defensive duo behind the dish. Rivera split this past season between the Mets and the Cubs, combining to bat .252/.305/.431 with 10 homers in 237 trips to the plate. That marked his most productive season since a career year with the Padres back in 2014, during which he batted .252/.319/.432 with a career-high 11 homers. Overall, Rivera is a rather light-hitting catcher, as evidenced by a career .220/.271/.349 batting line and a .224/.280/.368 slash over the past four seasons. But, he’s also thrown out 36 percent of would-be base thieves in his big league career and has been remarkably consistent in that regard; Rivera has never posted a caught-stealing rate lower than the 30 percent clip he registered in 2016, and he halted a hefty 37 percent of stolen-base attempts against him this past year in 2017. From a pitch-framing standpoint, Rivera was only a tick above average in ’17, but he’s been average or better in that regard in each season of his Major League career. Baseball Prospectus considered Rivera a roughly average defender at the position overall this past season, but he ranked as the fifth-most valuable defensive backstop in the game as recently as 2016, per their Fielding Runs Above Average metric. The addition of Rivera pushes Carlos Perez and Juan Graterol, both on the 40-man roster, out of the picture as Maldonado’s backup. That’s especially significant for Perez, who is out of minor league options and now stands out all the more as a change-of-scenery candidate. (Graterol, meanwhile, has a pair of minor league options remaining.) The Angels have also picked up former Rays catcher Curt Casali on a minors pact this offseason, and the presence of Rivera further muddies his path to the big league roster. As for Smith, he’s long been touted as one of the Angels’ best prospects, but injuries limited him to just 15 innings between Rookie ball (on an injury rehab) and Triple-A in 2017. A former eighth-round pick (2013), Smith tore through the lower minors and thrived with a 2.63 ERA, 8.1 K/9 and 3.2 BB/9 in 164 Double-A innings, but his effectiveness evaporated upon reaching Triple-A. In 192 career frames at that level, he’s pitched to a 5.06 ERA with 7.0 K/9 against 2.8 BB/9. With limited resources at his disposal, Angels general manager Billy Eppler did well to plug holes throughout his team’s roster this offseason. The improved depth will not only help his team over the 162-game grind, it will result in some competition this spring. Here are some notable position battles to keep an eye on. On the surface, Maybin should have a strong edge in this battle. Despite missing a good part of the 2016 season due to an assortment of injuries, he slashed .315/.383/.418 with 15 stolen bases in 393 plate appearances for the Tigers. Revere is coming off of an abysmal season with the Nats (.217/260/.300 in 375 plate appearances) in which he deservedly lost his starting job. However, both players have been around long enough that their track records, as well as spring performance, will play a part in determining who will get the bulk of playing time when the season begins. Maybin has a long history of injuries and subpar offensive seasons. 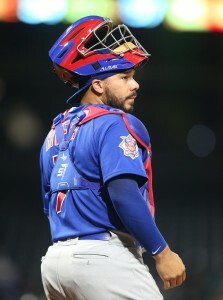 Revere, up until 2016, had been able to compensate for a lack of power and plate discipline with a .303 batting average and 36 stolen bases per season from 2012-2015. It would be tough to keep him out of the lineup if he returns to that form. Defensively, Maybin and Revere each cover a ton of ground and should be well above-average in left field. Ackley, who signed a Minor League deal this offseason after he was released by the Yankees, is probably the most intriguing player in camp who could conceivably do enough in Spring Training to make a push if both Maybin and Revere struggle terribly. The 2nd overall pick in the 2009 draft, Ackley had an impressive rookie season with the Mariners in 2011, but has been a disappointment since. Even if manager Mike Scioscia names one as his starter, it’s likely that he’ll look for platoon opportunities and/or go with the “hot hand” during the season, with Maybin and Revere both getting a chance to run away with the job. Considering that Street had been one of the most consistent and reliable relief pitchers in baseball for more than a decade prior to an injury-plagued and ineffective 2016 season, it’s fair to say that he deserves the benefit of the doubt and should remain in the closer role to start the 2017 season. The emergence of Bedrosian, however, is the likeliest reason why Street will have a much shorter leash than he’s ever had during his career. If not for a blood clot that ended his season two days after taking over as the closer when Street landed on the disabled list in early August, Bedrosian might have already proven that he’s the best man for the job. It won’t be long, though, if he can pick up where he left off (1.56 ERA, 11.4 K/9 in 45 appearances). Former A’s closer Andrew Bailey also earned his way into the competition by pitching well after the Angels signed him to a Minor League deal in August (11.1 IP, 3 ER, 9 H, 2 BB, 8 K). For Bailey to get serious consideration, though, he’d have to give the Angels every indication that he is healthy and back to the form that made him a Rookie of the Year and two-time All-Star very early in his career. Prediction: Street on Opening Day. Bedrosian takes the job from him by June 1st. Not only is there a rotation spot that is Skaggs’ to lose, he’s a strong candidate to break out in 2017. In his first season since undergoing Tommy John surgery in 2014, Skaggs was eased back into action with 10 MLB starts after a late-July promotion. The Angels will still likely proceed with some caution since he only threw a total of 89 innings in 2016. He’ll need to prove in Spring Training that he’s ready to handle a full workload or else he could begin the season in Triple-A. Chavez’s versatility is a big part of his value, but the Angels did not have the financial freedom to give nearly $6MM to a pitcher who wasn’t going to start or factor into the late-inning mix. He’ll be given every opportunity to win a rotation spot. In 26 starts with the A’s in 2015, he had a 4.37 ERA with 7.6 K/9 in 150.1 innings pitched. The Angels would be ecstatic if he can come close to that production. Meyer, a former top prospect for the Twins, has battled injuries and control issues throughout his career. He does have an upper-90’s fastball, however, which is why he’s the most intriguing candidate on this list. The bullpen might be his ultimate destination, but the Angels probably aren’t ready to give up on him as a starter just yet. The 6’9″ right-hander only pitched 50.1 innings in 2016, but 12 of his 13 appearances, including all five at the MLB level, were starts. Smith doesn’t have Meyer’s ceiling, but he has the potential to be a solid back-of-the-rotation starter and he might be ready to step in now. Both he and Meyer are on the 40-man roster, which is why they’ll get a long look this spring. Like Chavez, Petit is valuable because of his ability to pitch as a swingman. In this case, he’ll be given an opportunity to win a rotation spot, although he’ll have an uphill battle to stand out. His ability to successfully bounce from the bullpen to emergency spot starter might even work against him since he’s an appealing candidate for the pen. Norris isn’t that far removed from being a very good MLB starter, but he’s had a rough go of it over the past two seasons (5.79 ERA in 196 IP between four teams). Regardless, Petit and Norris are veterans who are capable of contributing at some point, even if not right out of the gate. Prediction: Skaggs and Chavez win spots. WEDNESDAY: The Angels have announced that they’ve outrighted Valdez and De Los Santos to Triple-A Salt Lake. As we’ve noted elsewhere, the Brewers claimed Parker off waivers. FRIDAY: The Angels announced that they’ve designated right-handed pitchers Jose Valdez, Blake Parker and Abel De Los Santos for assignment and also outrighted infielder Rey Navarro off the 40-man roster. The moves pave way for the addition of left-hander Nate Smith and right-handers Keynan Middleton, Austin Adams and Eduardo Paredes to the 40-man roster. Valdez, 26, posted a respectable 4.24 ERA in 23 1/3 innings with the Angels this season and averaged a robust 95.3 mph on his heater, making him at least an intriguing future option for the Halos next season. However, he also issued 16 walks, hit a batter and uncorked a pair of wild pitches in that brief time with the Angels, demonstrating enough of a control issue that the team didn’t see fit to dedicate a 40-man roster slot to him this winter. Parker, 31, split the 2016 season between the Mariners and Yankees, totaling 17 1/3 innings of 4.67 ERA ball with 15 strikeouts against eight unintentional walks. The Angels claimed him back in earlyt October, on the heels of a season in which he actually averaged a career-best 92.2 mph on his fastball this season and does come with a 3.67 career ERA in 90 1/3 innings at the Major League level. He’s an extreme fly-ball pitcher and has averaged 10.5 K/9 in parts of nine seasons at Triple-A but has also averaged 4.2 walks per nine innings there. De Los Santos was also an offseason waiver claim by the Angels, out of the Reds organization. De Los Santos tossed 20 1/3 innings in Triple-A this season and logged a 3.54 ERA with a 26-to-13 K/BB ratio, and he has a lifetime 3.03 ERA in Double-A as well. He has just 7 1/3 innings of big league experience under his belt, during which he’s allowed eight runs. Among the four players added to the 40-man roster, Smith is perhaps the most interesting. The lefty had a 4.61 ERA with 7.3 K/9 against 2.6 BB/9 in 150 1/3 innings at the Triple-A level last year, which doesn’t really stand out, but he does rank as the top pitching prospect in the organization, per MLB.com. The Halos will enter 2017 with Garrett Richards, Matt Shoemaker, Tyler Skaggs and Ricky Nolasco locked into rotation spots, health permitting, leaving the fifth spot up for grabs among Smith, Jesse Chavez, Alex Meyer and Daniel Wright (plus any further offseason additions).